University of Michigan Law School, J.D. Barbara Kaye is an accomplished corporate attorney with significant experience representing public and private sector clients on a broad array of transactions. Represented North American Bancard, LLC in its acquisition of Total Merchant Services, Inc. Represented the Detroit Institute of Arts drafting documents to implement the "Grand Bargain"
2018 – "Barbara Kaye advises public and private sector clients on M&A transactions, joint ventures and financing mandates. One client reports: 'She is phenomenal, does a very fine job, takes no prisoners, is very responsive and always available.'" 2017 – "Barbara Kaye frequently assists both public and private sector clients on acquisitions, mergers and joint ventures. She is also an expert in the areas of syndicated financing and debt restructuring. Interviewees attest that she is 'very detail-oriented.'" 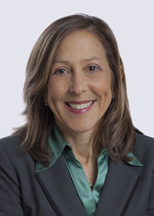 2016 – "According to observers, Barbara Kaye has 'tremendous attention to detail and is very timely' in her advice to both public and private companies. She represents clients in an array of commercial finance transactions, including business combinations, debt restructurings and private equity deals." 2015 – "Barbara Kaye is 'very smart and a very good communicator when negotiating terms and conditions.' She is recognized for her strengths in M&A, and for her advice to clients on high-yield offerings and syndicated financing." 2014 – "Recognized as 'a capable, smart and practical lawyer'and is 'well respected in the legal community.' She is noted for her work representing public and private sector clients in a range of areas including mergers, acquisitions and joint ventures." 2013 – "Barbara is a key player at the firm. She focuses her practice on private equity and corporate finance." 2012 – "Barbara Kaye is considered an experienced and impressive lawyer by sources. She is especially renowned for her expertise in private equity transactions, syndicated financings and debt restructurings."